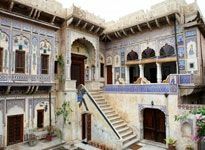 The Shekhawati region of Rajasthan receives lot many tourists in most part of the year to see and experience the royal heritage of the region. 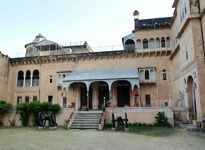 There are a large number of famous heritage, budget and deluxe Hotels in Shekhawati region. Indian Holiday offers many Tour Packages to Ranakpur and other Tours to Rajasthan. These tour packages include most of the beautiful cities of Rajasthan and offer a lot of excitement and fun. Rajasthan has a lot many National Parks, Wildlife Sanctuaries, Historical Monuments, Forts, Palaces, Fairs, Festivals and much more.